Arabinogalactan is amazing! As long as I take it I almost never get a cold or the flu. The minute I run out by accident I get sick. I have a weakened immune system so my doctor recommended Arabinogalactan to me. Arabinogalactan was recommended by a chiropractor and I have been taking it for about 8 months. I can tell a very positive change in my digestion. Im able to tolerate more foods and have less stomach and intestinal discomfort. Your body requires fiber in order to function properly. It promotes a feeling of fullness‚ while allowing your digestive tract to process and dispose of waste product (you can only imagine what could happen if it stays inside--rotting and worse!). AG‚ better known as arabinogalactan‚ comes from the North American larch tree and is the same main ingredient of the herb echinacea. It's a fermentable type of fiber that can support colon and liver health. Modern diets tend to be heavy on processed foods like white flour‚ which tend to contain less fiber than whole wheat grains. That's where a supplement like Pure Encapslations' Arabinogalactan can help. 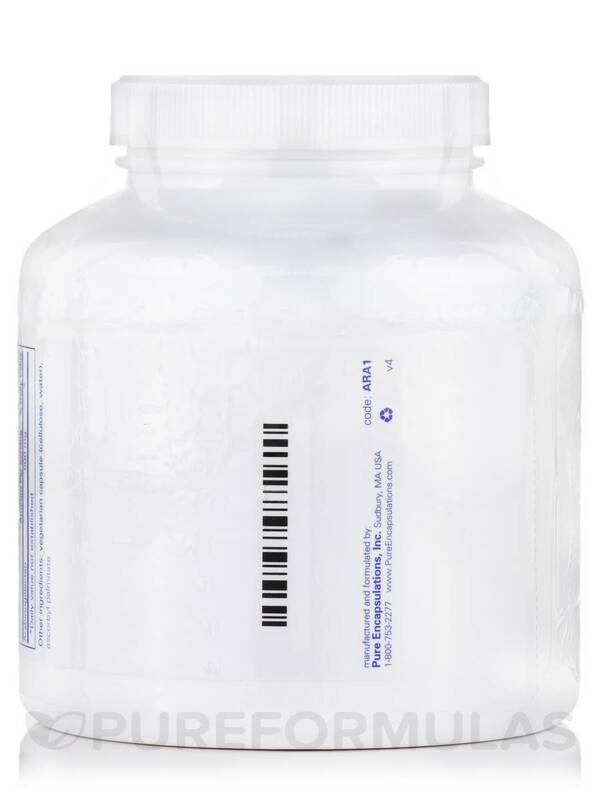 Since it supports the growth of healthy bacteria (specifically bifidobacteria and microflora lactobacillus) in the colon‚ it may add to the benefits of any probiotics you may be taking. These friendly bacteria work to support a comfortable and more effective digestive process‚ allowing your body to better absorb the nutrients contained in foods or other supplements; this can benefit your overall health. 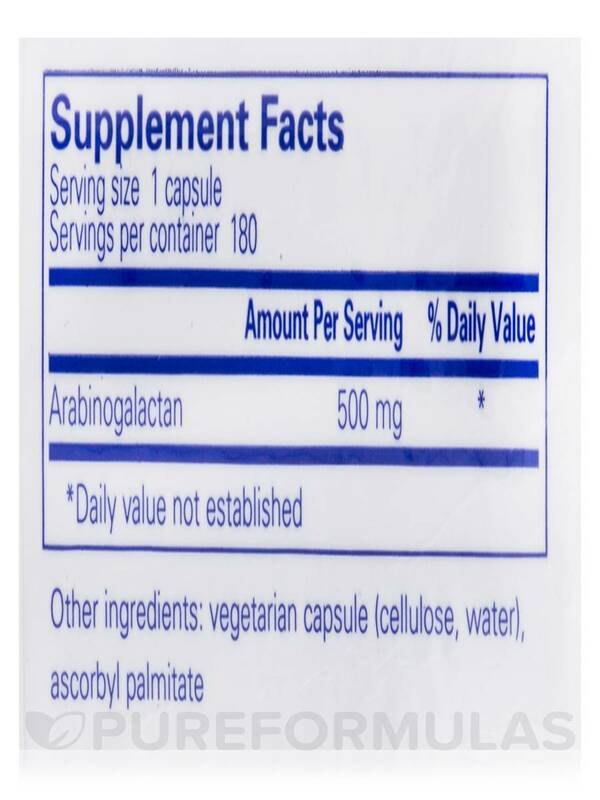 In addition to its support for your digestive tract‚ arabinogalactan may also provide support for immune cells. A stronger immune system might be better able to protect you from getting sick. Each vegetable capsule of Arabinogalactan by Pure Encapsulations also provides vitamin C‚ an antioxidant that may support the main ingredient's activity in the body. 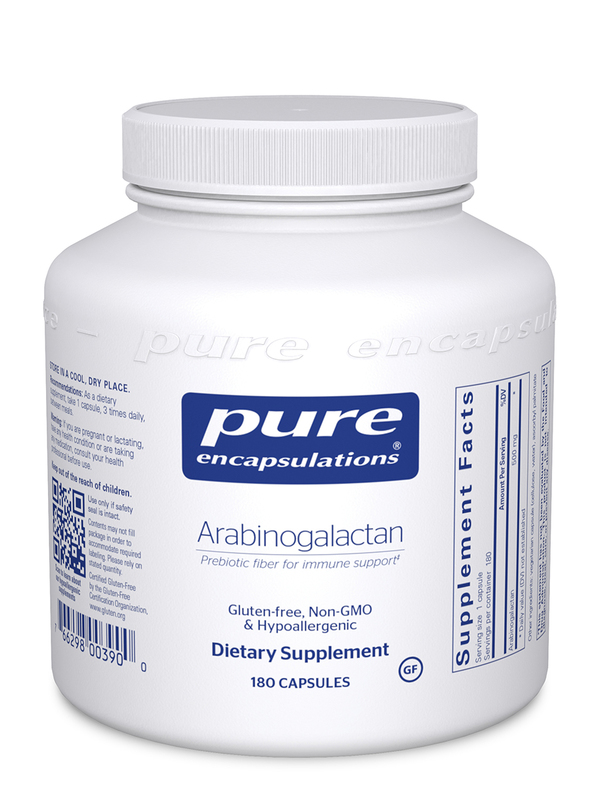 One bottle of Pure Encapsulations' Arabinogalactan contains 180 capsules‚ which is the perfect size for stocking up. Take three capsules daily‚ in divided doses between meals. 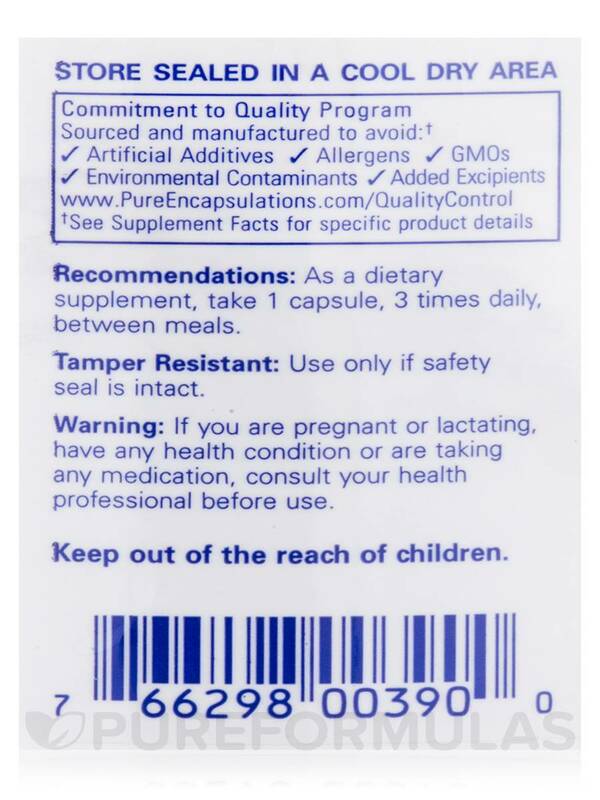 As a dietary supplement‚ take 1 capsule‚ 3 times daily‚ between meals. 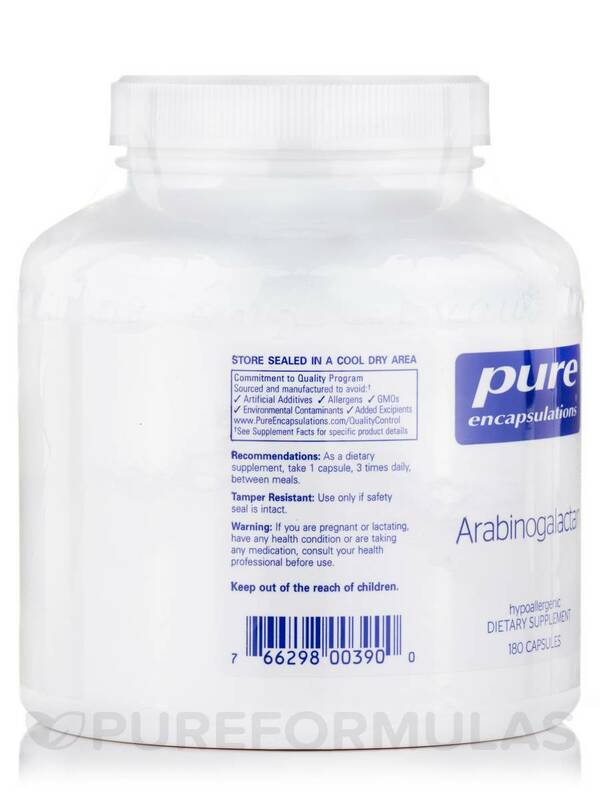 Arabinogalactan by Pure Encapsulations was recommended to me by my doctor. Works great!